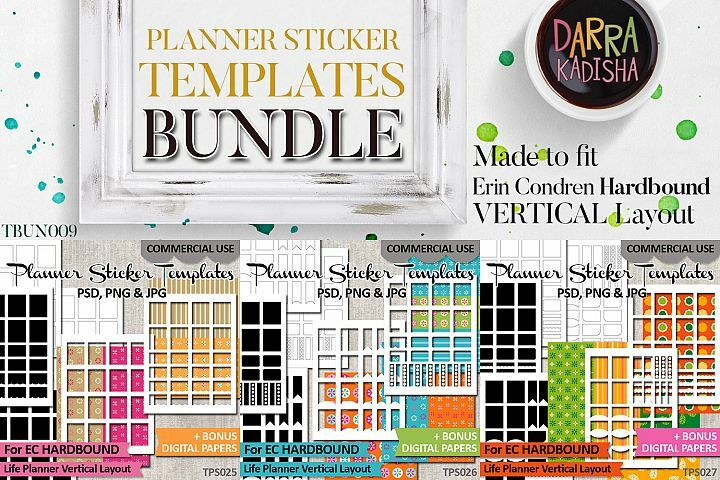 Decorating planner with stickers is fun to do. It is also fun to create and make your own planner stickers. 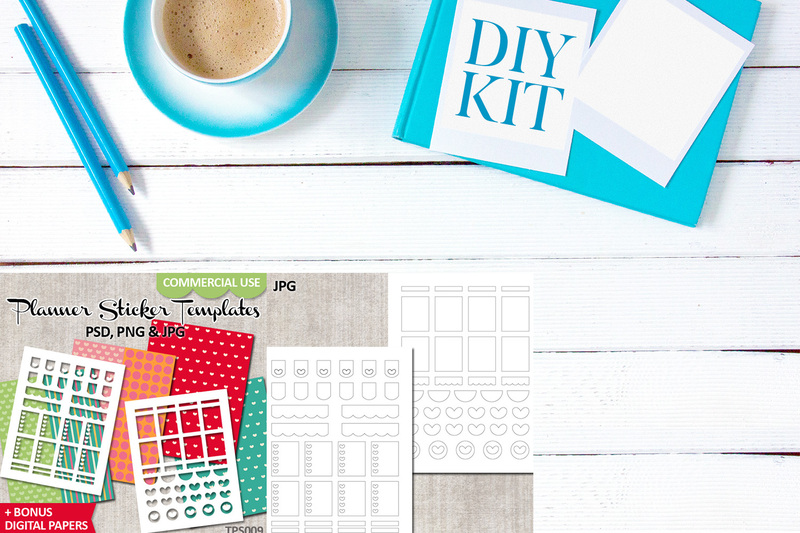 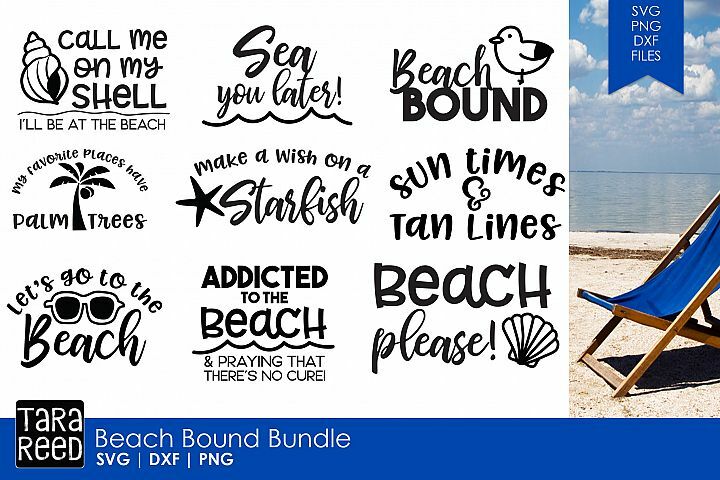 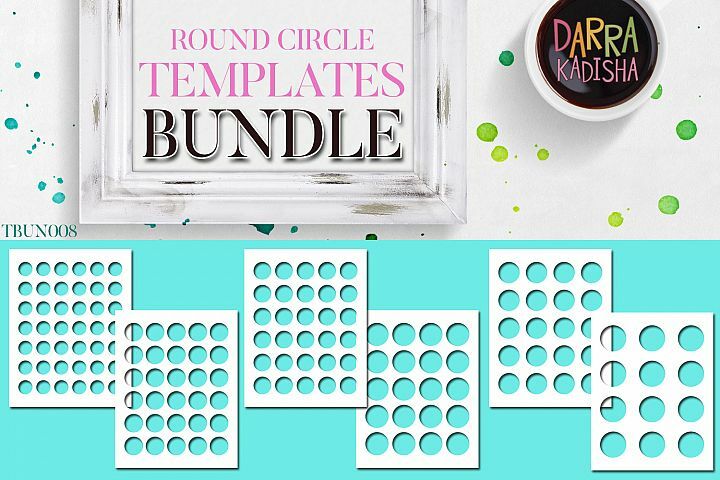 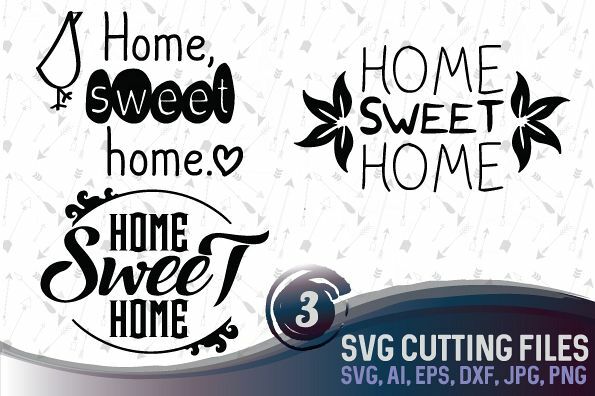 These DIY templates kit will make your work easier! 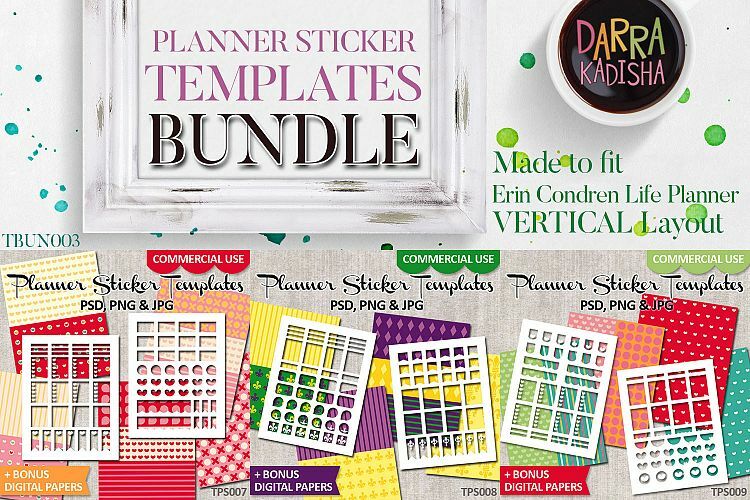 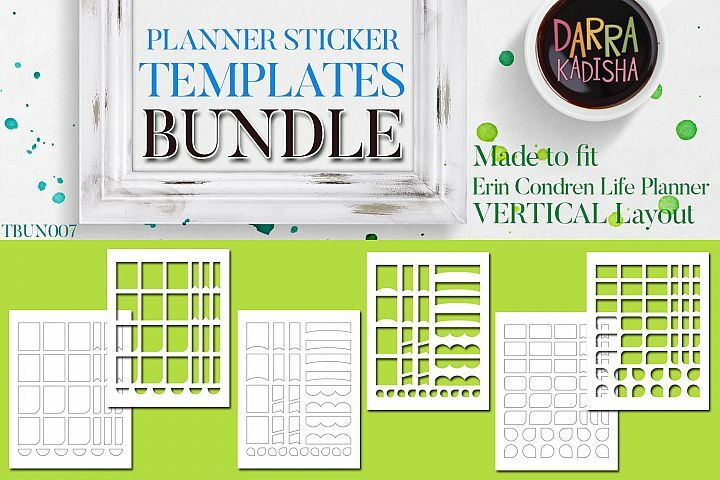 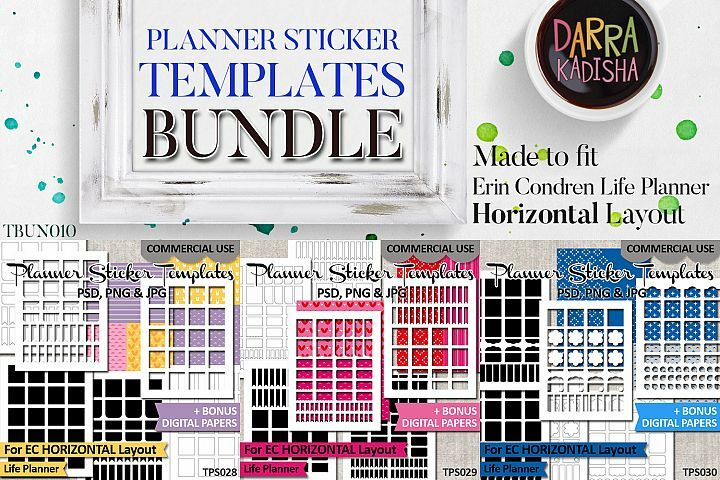 Perfect for planner crafters and sticker sellers! 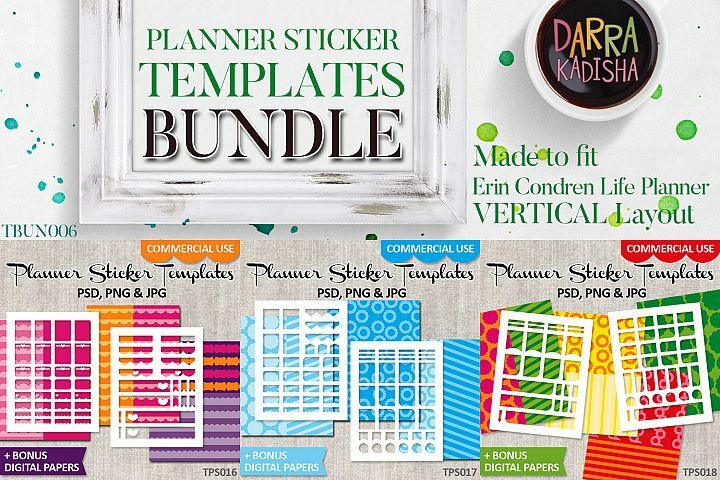 Templates are made to fit Erin Condren Life Planner (ECLP) VERTICAL LAYOUT. It is also possible to use the stickers for any other planners. 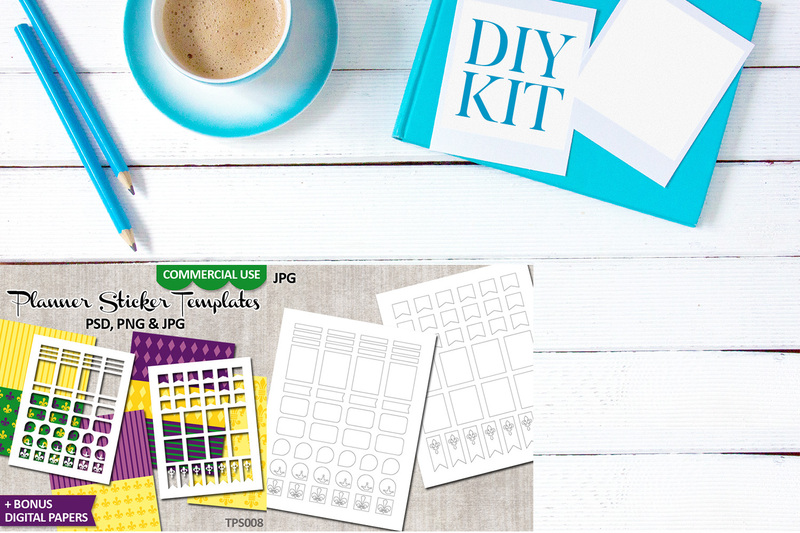 ECLP Full box is 1.5x1.9 inch. 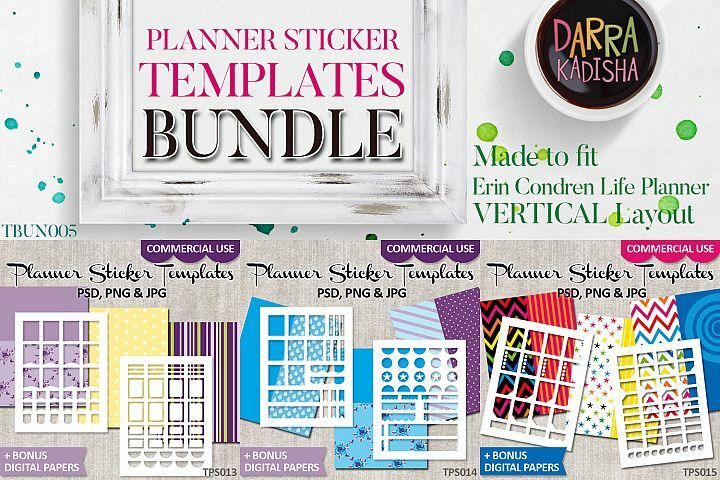 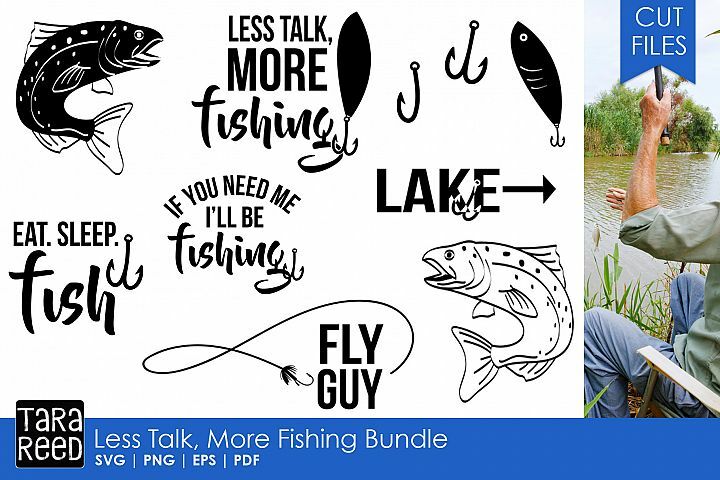 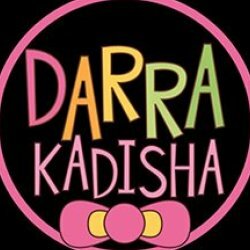 Be creative with background patterns and colors to create your own fun unique stickers! 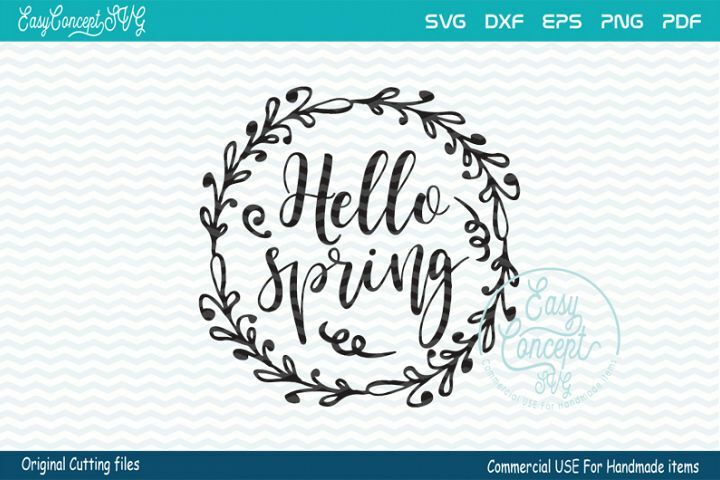 ust add your own designs and elements below the transparent template (when using the photoshop PSD file or the PNG file). 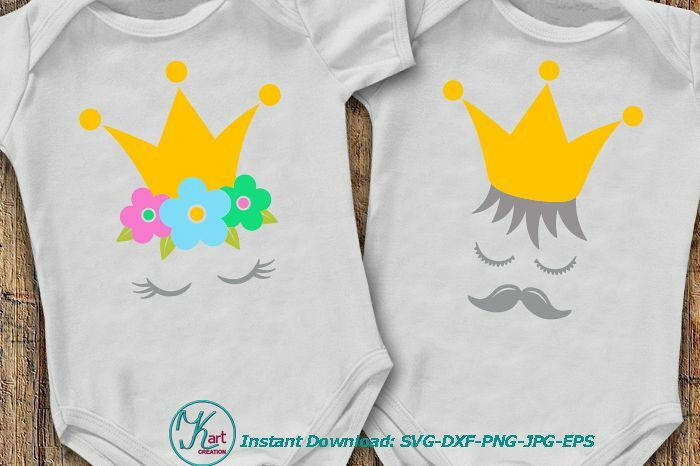 The JPG files come with gray lines. 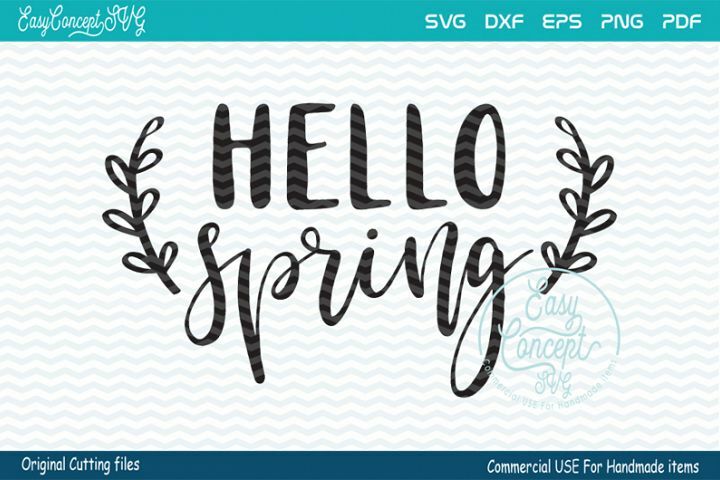 You can resize your design elements to fit each gray line box. 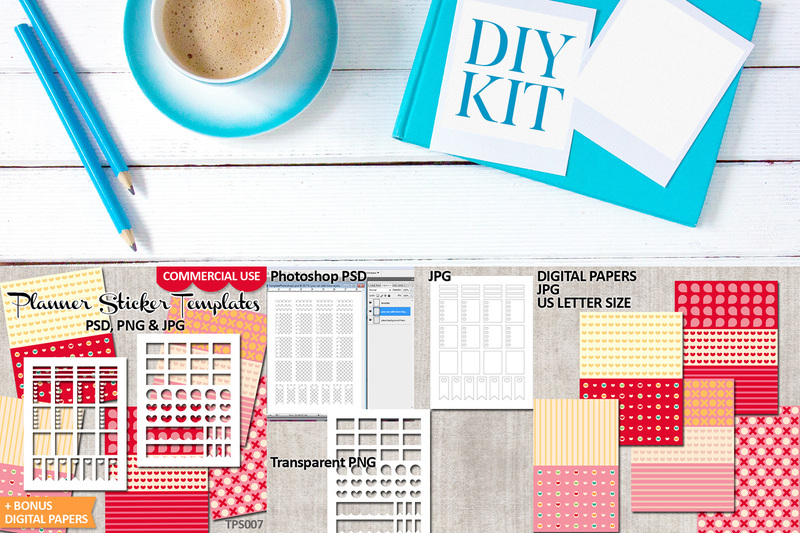 To open the photoshop PSD files, you will need to have graphic programs such as photoshop, photoshop elements, and gimp.